The Jehovah’s Witnesses finalized the sale of five sought-after DUMBO buildings on Oct. 2 – and their new owner vows to make them the “epicenter” of the nascent Brooklyn Tech Triangle. “If we can activate these properties in the right way, they have the ability to really be the heart of that Triangle and to connect Downtown with DUMBO with what’s happening in the Navy Yards [sic] and really be the epicenter for all of the change that is occurring in Brooklyn,” Jared Kushner, the Kushner Cos. CEO, said in a video news clip on the religious group’s website. The Kushner Cos. bought the buildings with RFR, a high-powered real estate firm founded by Aby Rosen and Michael Fuchs that owns iconic Manhattan skyscrapers including the Seagram Building. Kushner, who is married to Ivanka Trump, is the publisher of the New York Observer. The two firms paid a hefty $375 million for the five properties plus a hotel at 90 Sands St. that the Witnesses will continue to use until 2017 – a total of 1.2 million square feet of commercial space. The industrial buildings the Manhattan developers plan to transform into techie havens are 117 Adams St., 175 Pearl St., 55 Prospect St., 81 Prospect St. and 77 Sands St. It is often said that the Witnesses have been careful stewards of their Brooklyn Heights and DUMBO properties – which they began selling off in 2004. Kushner made note of this in his video remarks. Kushner and RFR will do the redevelopment in partnership with LIVWRK Holdings – a company whose founder, Asher Abehsera, knows a thing or two about the adaptive re-use of DUMBO buildings. He’s the former general manager of the Walentas family’s firm Two Trees Management Co., which put DUMBO on the map as a hot office and residential neighborhood. In their approximately $100 million makeover of the five just-sold buildings, the new owners will devote at least half the space to offices with rents in the mid-$50s per square foot and use 150,000 square feet for retailers, almost all of them from Brooklyn, according to a Wall Street Journal report. In the Witnesses’ video, Kushner spoke of the integrity of Watchtower deal makers. The Witnesses vacated the buildings 55 days after the July signing of the sale agreement. When the deal was announced, real estate executives told The Brooklyn Daily Eagle the properties’ makeover would “jump-start the Tech Triangle” and be a “game-changer” for DUMBO. 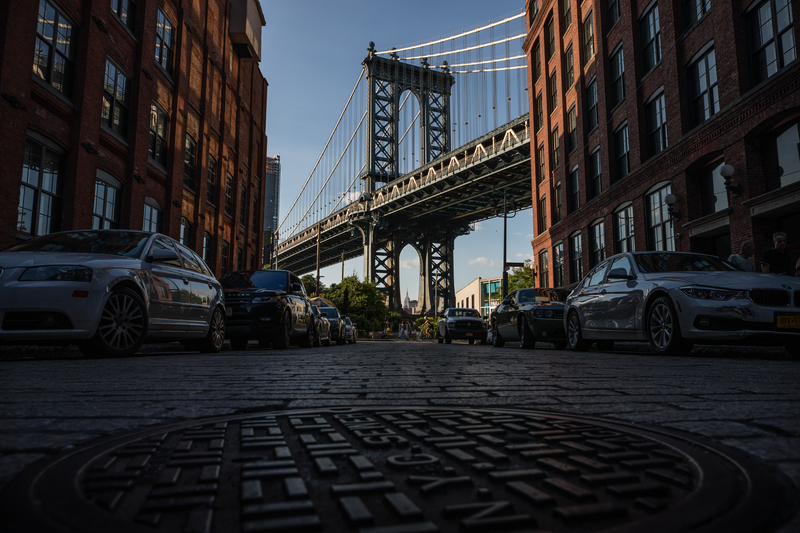 The Tech Triangle is the brainchild of the Downtown Brooklyn Partnership, the Brooklyn Navy Yard Development Corp and the DUMBO Improvement District. The three groups unveiled new initiatives in June to unite Downtown Brooklyn, the Navy Yard and DUMBO into an attractive venue for techies to work and live. For 77 years, the Witnesses used the five buildings to print Bibles in at least 180 languages, spokesman David Semonian said in the video. “In terms of Bible education and the importance of the Bible message, these buildings were quite significant to Jehovah’s Witnesses,” he said. The closing of the deal is a signal that the religious organization is moving forward with its plan to relocate its world headquarters from its long-time Brooklyn Heights and DUMBO home to a 253-acre property it purchased in upstate Warwick. “This sale is definitely a big step in our relocation plan,” Semonian said in a news release. The construction of the new headquarters formally began on July 29, according to the online video, with completion expected in 2017. “Brooklyn will forever have a very special place in the history of our organization,” Semonian said. “But I have to say that we’re not trapped in time,” he added. “Moving our headquarters to Warwick is simply the best use of our resources, enabling us to further expand our global Bible education work,” Richard Devine, chairman of the Witnesses’ construction project committee, said in the news release. There was no word from Watchtower officials about which of their remaining Brooklyn properties will be put up for sale next. One of the brightest jewels in their remaining holdings is the Towers Building at 21 Clark St. in Brooklyn Heights. The Witnesses’ residence hall is topped by turrets and stretches the entire length of a Willow Street block. It was a hotel built in the 1920s where the Brooklyn Dodgers stayed for home games. The Jehovah’s Witnesses also own a set of Brooklyn Heights residential buildings at prime locations on Columbia Heights. High-profile Watchtower property sales that took place before the Kushner-RFR deal include the 2004 sale of 360 Furman St., a 1 million-square-foot book plant, for $205 million to developer Robert A. Levine. The 14-story building, which he converted to condominiums and renamed One Brooklyn Bridge Park, is launching a new leasing campaign to land retail and restaurant tenants for 68,000 square feet of vacant space in the nearly empty base of the building, the Eagle recently reported. The Bossert Hotel – long known as “the Waldorf-Astoria of Brooklyn” but used in recent years as lodging for Jehovah’s Witnesses – was sold for $81 million in 2012. Purchasers David Bistricer and Joseph Chetrit are renovating it as a 302-room luxury hotel that’s expected to open in summer 2014.